The extent to which Roddy Woomble’s voice has changed over the last 18 years is always pretty shocking to this casual Idlewild fan when I revisit the band’s early work. The sneering, American-accented vocals of Woomble’s youth are long gone. Eighteen years after the release of his band Idlewild’s debut, Captain, Woomble now has a voice of deep, rich mahogany. He has matured into a terrific singer, and a very fine songwriter, too. I saw him play last night with Mel and her friend Louise at Kings Place (sic) in London for the first night of the Caledonian Chronicles season. 90 minutes in the company of his band and his solo-career songbook fully convinced me on both fronts. He did play a couple of Idlewild songs (one I knew – an excellent version of You Held the World in Your Arms that for me outdid the original – and one I didn’t know; Mel told me it was Quiet Crown, an old Idlewild tune, after I’d said to her that the band could have segued from that into American English), but he had little need to fall back on his band’s repertoire to keep the audience rapt. I couldn’t help but think, as I looked around, that probably a lot of the people there wouldn’t have known When I Argue I See Shapes anyway, as perversely enjoyable as it might have been to see Woomble in high-energy yelping mode in an austere concert hall. He had a great band (featuring Sorren Maclean on guitar, Luciano Rossi on piano and Hannah Fisher on fiddle – all three sang harmony vocals), which helps, but quiet, sit-down shows in concert halls live or die on the strength of the material being played. No song demonstrates the quality of Woomble’s mature writing better than I Came In From the Mountain, from his first (now deleted, he revealed last night) solo album, My Secret is My Silence. It’s built on the simplest chords (I, IV, vi, V) that are shuffled around in progressions that every songwriter has used at least a few times, and the verse melody is fragmentary, a few syllables at a time, as if the thoughts that the singer is searching for aren’t quite coming together. On first listen, by the end of the first verse, you could be forgiven for thinking this isn’t much of a song, however nice the line “because we affect each other endlessly” may be. It’s the chorus where it comes together. It’s a simple tune, though with more movement and a wider range than the verse melody, harmonised on the second and third repeats by Kate Rusby, sometime labelmate on Pure Records. Their voices sound great together. 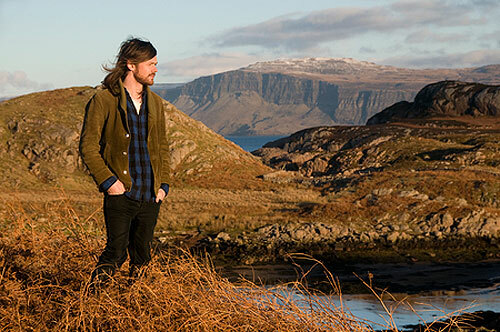 This is the intriguing space that Woomble the solo artist inhabits. Headlining the opening night of a folk festival called Caledonian Chronicles, sitting on stage with a fiddle player, accompanied on record by uilleann pipes, duetting with Britfolk royalty, but nonetheless thinking, writing and arranging his songs like a rock/pop songwriter. 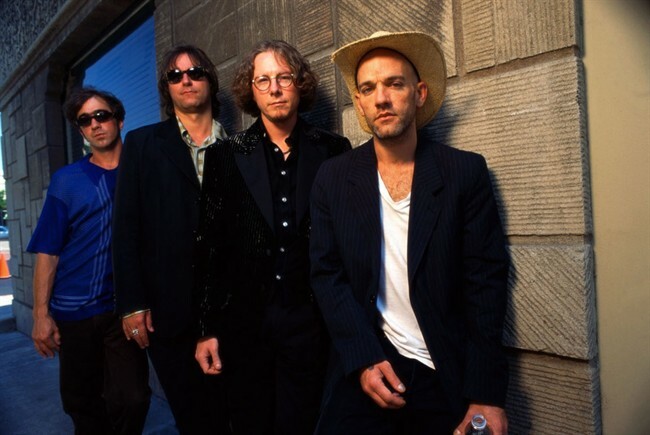 Comparisons of Idlewild to R.E.M. were overstated back in 2002 when The Remote Part came out, I think. Nevertheless, there is no songwriter whose phrasing of a melody (and way of matching lyric and tune in surprising ways, so that the line contains unexpected caesuras and enjambements) more frequently reminds me of Michael Stipe. He ruefully acknowledged once or twice yesterday that his solo career isn’t setting the world alight. Perhaps it’s because you can’t fit him neatly into either the folk box or the indie box anymore. But it’s a shame that he can’t quite fill a 500-seat hall as a solo act, as at this point it’d surprise me if Idlewild are making more vital music than he is on his own. This entry was posted in Music and tagged acoustic guitar, acoustic rock, alternative rock, Caledonian Chronicles, captain, chord progressions, double bass, Drums, fiddle, folk, I Came in from the Mountain, Idlewild, Kate Rusby, Kings Place, lyric writing, lyrics, Michael Stipe, phrasing, piano, Pure Records, R.E.M., Roddy Woomble, singer-songwriter, singing, songwriting, The Remote Part, uilleann pipes, When I Argue I See Shapes on April 10, 2015 by rossjpalmer.